SoHo I Home Audio System is a fully optioned system capable of the finest CD, Vinyl LP and AM/FM/XM/HD radio enjoyment. 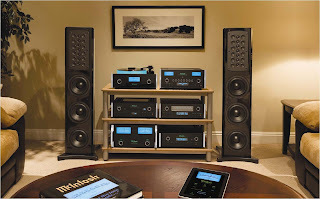 Maximum fidelity is assured by the combination of powerful amplification, full frequency range low distortion McIntosh speakers and advanced Room Correction electronics for true to life sound in any listening space. What is the PMPO output of this system?